My friend Heinz hung all the works for my art show yesterday and took this sneaky video. 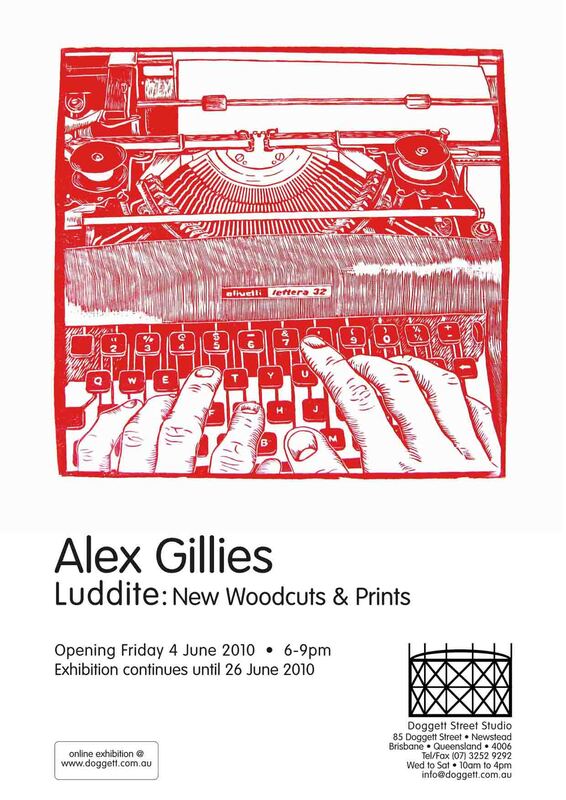 Luddite: New works by Alex Gillies opens tomorrow night at 6pm! Note: Feel free to right click, download, link, pass on email, forward, stick to the fridge and share this invite with anyone you know who might be interested in coming along to my show. More Owls… and some new stuff as well. …and the first print I applied it to was one I finished just a few days ago, it’s my tribute to the lovers of all things old but not redundant. The Luddite in all of us (well, in me at least). This block/print was inspired by a friend of mine who so eloquently pointed out to me my inherent suspicion of all things new and technological. It wasn’t obvious to me at the time but he was 100% right.